Every floor is different. And because every floor is different, each of them need to be cleaned in a different way. 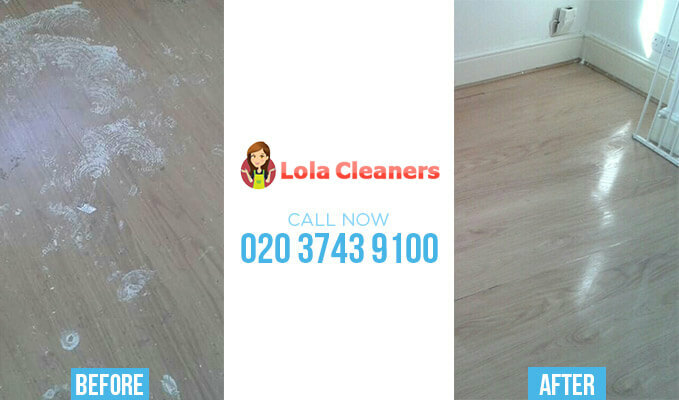 The only cleaning company with the hard floor cleaning credentials required to complete such work is Lola Cleaners and if you give us a call on 020 3743 9100 with details of the hard floor polishing you need then we’ll happily provide you with the lowdown and tell you why our cleaning services are the most intense and effective in the whole of the region. Whether it’s a fancy kitchen and dining room floor or the flooring at your business premises, each of them requires a very professional and carefully coordinated clean to get rid of stains, to restore the colouring and the appearance of the floor and to make sure that the surface is primed and preserved in the correct way. Our cleaning company has the ability to do that for you no matter what your floor may consist of and we can deal with parquet floors, marble flooring, hard wood flooring and vinyl along with limestone and granite floors, glass floors and even plastic flooring. Call 020 3743 9100 to speak to us about our availability and we will be able to give you cleaners with all the necessary cleaning products at a time and on a date that suits you, with the cleaning products fit for each and every single type of flooring. Our repertoire of skills is there for all types of floor surface and our cleaners, trained to the highest of standards when it comes to floor polishing, are able to achieve magnificent results every time. With stone and especially with limestone we are able to use cleaning solvents and products that are sensitive to the surface but able to dig out all of the dirt and dust from all the grooves in the flooring. Our hardwood floor cleaning is particularly refined as we are able to use our deep heat cleaning machine to real effect, siphoning out all of the stains and drawing them up to the surface whilst causing no damage to the integrity of the wood. Our hard floor cleaners can then polish the surface and apply protective lacquer and solvents to give it added protection, changing the stained quality of the wood to a much more consistent and shiny finish within one visit. 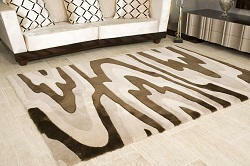 We are particularly adept at polishing vinyl flooring and rendering it completely prim and proper. Vinyl and plastic flooring can become sticky when food particles are dropped onto it and it’s important to have the solvents and the materials to be able to attack those substances and divorce them from the surface of the floor entirely. Our hard floor polishers have all of that and can completely replenish the smooth finish of the floor surface whilst adding a coat of protection to the top, thus preventing dirt and most liquids from permeating into the floor material and spoiling it again. Hard floor polishing is something that Lola Cleaners do particularly well and we don’t mind what sort of floor you have or how big it is. From small kitchens in terraced houses right up to warehouse floors, we can offer you a floor cleaning service that is suitable for your needs. If you would like a free quote from our cleaning agency on a no obligation basis then call us today on 020 3743 9100 and we will give you a price for the cleaning job you would like us to do. We are available for hard floor cleaning on any day of the week at any time of day.